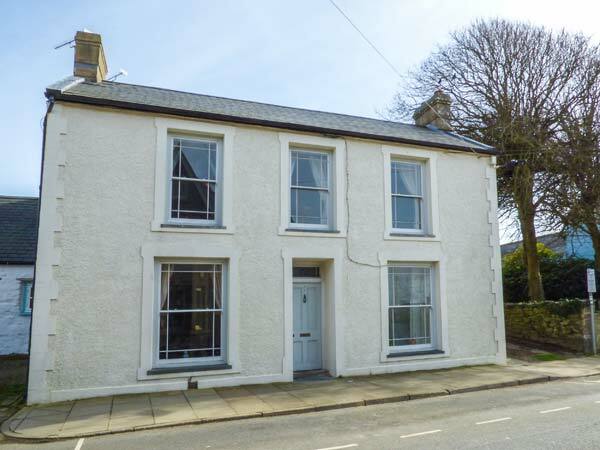 The Bakehouse is an all ground floor apartment set a couple of minutes' walk from the centre of St Davids. The apartment sleeps two people in one double bedroom. There is also a shower room, a kitchen with a dining area and a sitting room. The apartment has large windows making the space light and airy and you are very close to all of the local amenities. The Bakehouse is a fantastic choice for a holiday in this area. The Cwtch is an all ground floor apartment in the city of St Davids. The apartment sleeps four people in one 4' double bedroom. There is also an open plan living area with a kitchen, dining area and sitting area with a sofa bed. Completing the accommodation is a shower room. 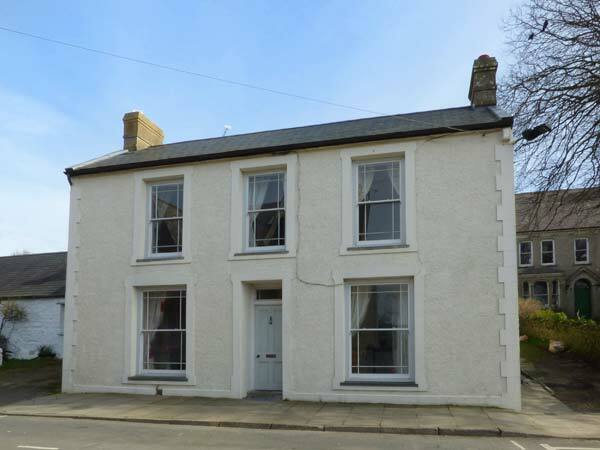 Set just a couple of minutes' walk from the centre of St Davids, The Cwtch provides lovely accommodation for a couple or a group of friends. There are fantastic amenities available nearby and stunning coastal walks which can be enjoyed. The Granary is set on the first floor of Ty Llwyn near the centre of St Davids. 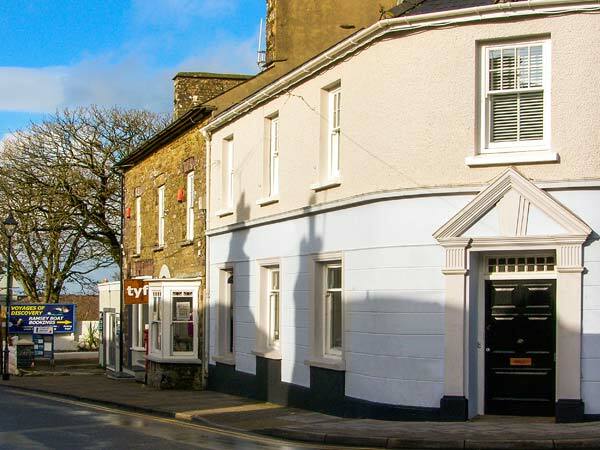 The apartment sleeps five people in three bedrooms which are a double, a twin and a single room making this ideal for a family or group of friends. There is also a bathroom, a kitchen with a dining area and a sitting room. 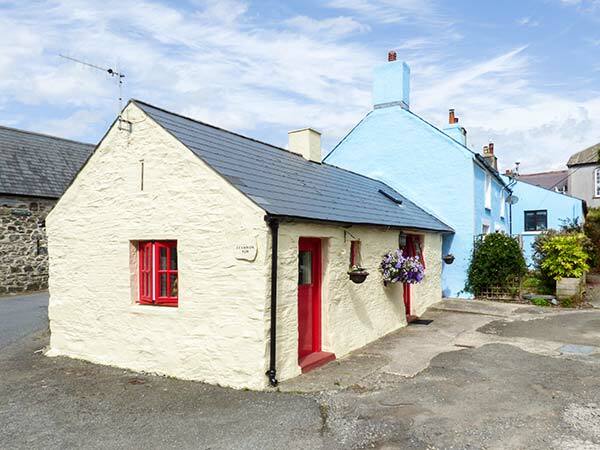 Set within a short walk of the local amenities, The Granary is an ideal choice with many attractions and picturesque coastal walks available in the area. Ty-Banc is a wonderful, self catering apartment in the heart of the smallest cathedral city in Britain, St Davids. Set solely over the first floor over a bank, the cottage has a private side entrance, leading into a small courtyard. There are three bedrooms; a king-size double with an en-suite shower room, a 4ft double room, a room with twin beds with the option of becoming a super king-size double, and a family bathroom. There is also a kitchen with a dining area and a sitting room, with a woodburning stove, overlooking the city. Outside, the courtyard has a small bistro table, two chars and a bike rack. Perfect for exploring this beautiful corner of South Wales, Ty-Banc is a wonderful base for a family holiday. 3 Bedrooms Gas central heating with woodburning stove. Electric oven, induction hob, microwave, fridge/freezer, washing machine, dishwasher, TV with Freeview, DVD, DAB radio, iPod dock, WiFi, selection of books, games and DVDs. Fuel, power and starter pack for stove inc. in rent. Bed linen and towels inc. in rent. Please bring own beach towels. Stairgate. Roadside parking in nearby streets. Small rear enclosed courtyard with furniture and bike racks. Sorry, no pets and no smoking. Shops, pubs, tea rooms etc. 1 min walk. Note: 4ft double bed has limited access. Due to its structure, this property can only take max 2 children. Bwthyn Bach is a stone cottage on the owner's smallholding just a mile from St Davids in South Wales. The cottage sleeps two people and has a double bedroom with an en-suite shower room, a fitted kitchen and a sitting room. Outside is off road parking and a lawned garden with outdoor furniture. With magnificent views and access to plenty of fabulous walking routes, Bwthyn Bach is a lovely cottage for a romantic break at any time of the year. Gwryd Bach Farmhouse is a detached cottage a mile from St Davids. The cottage has two twin rooms, a double, a bunks room and a family room, along with two bathrooms, one on the ground floor. There is a kitchen with breakfast bar, a snug, dining room and a sitting room with open fire. Outside is a garden and front grassed area along with ample off road parking. 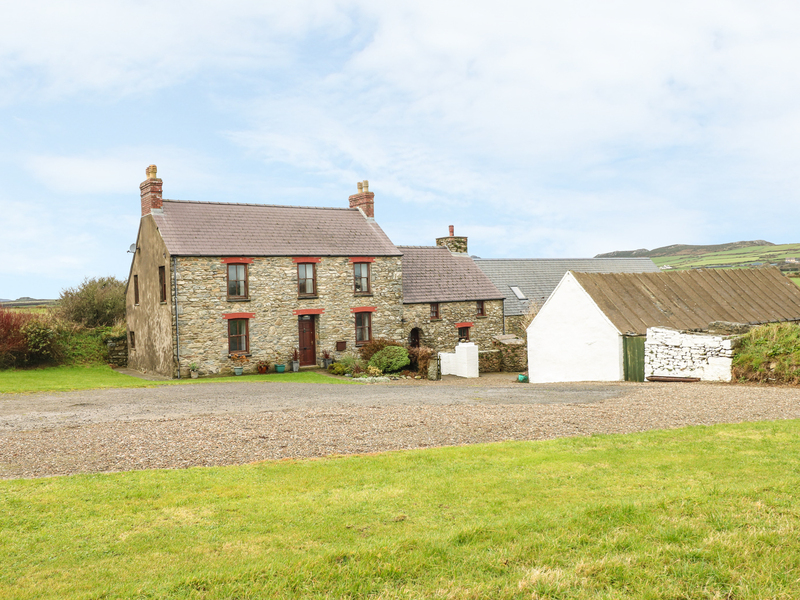 Gwryd Bach Farmhouse is ideally placed for enjoying St Davids, as well as all the attractions of this beautiful area. 5 Bedrooms Oil central heating with open fire. Electric oven and hob, oil Rayburn, microwave, fridge/freezer, washer/dryer, dishwasher, TV with Freeview, DVD, CD/radio, WiFi. Fuel, power and starter pack for fire inc. in rent. Bed linen and towels inc. in rent. Three travel cots and two highchairs. Off road parking for 5 cars, space for small boats on trailers. Large enclosed lawned garden with patio and furniture. Large open grassed areas to front. Three well-behaved dogs welcome. Sorry, no smoking. Shops and pubs 1 mile. Note: Property has 2 staircases, ground floor has several internal steps. Note: Check-in time 4pm. 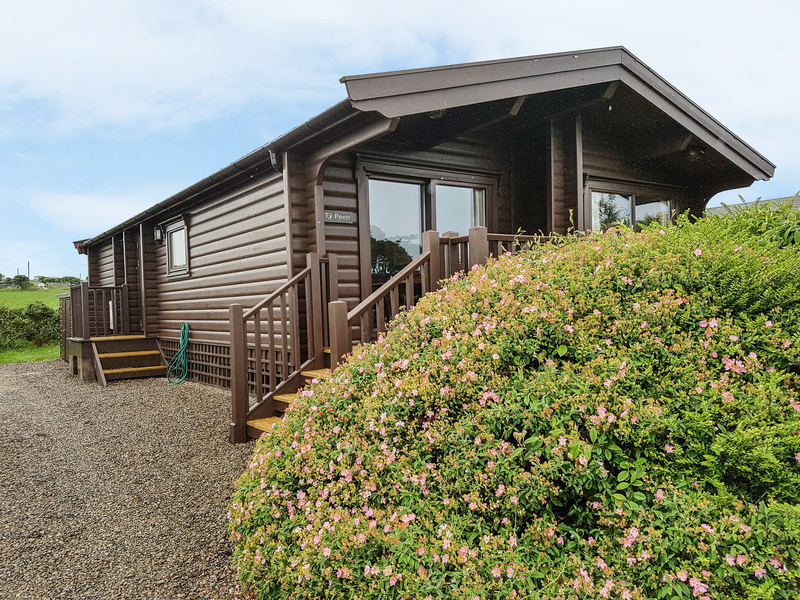 Ty Pren is a detached single storey cabin on a quiet site on the edge of Llanrhian, seven miles from St Davids. The cabin has an open plan living area, three bedrooms - a double, a twin and a single - and a bathroom plus additional cloakroom. Outside is a veranda with furniture, shared lawned grounds and off road parking for two cars. The coastal path is only five hundred yards from Ty Pren, which is ideally placed for St Davids, sandy beaches, boat trips, castles and more. 3 Bedrooms Underfloor electric heating. Electric oven and hob, microwave, fridge, freezer, washing machine, tumble dryer, dishwasher, TV with Freeview, DVD, radio/CD, WiFi, selection of books, games and DVDs. Fuel and power inc. in rent. Bed linen and towels inc. in rent. Bring own beach towels. Travel cot and highchair. Off road parking for 2 cars. Private decked patio with furniture. Large shared lawns with picnic benches. One well-behaved dog welcome. Sorry, no smoking. Shop 1.5 miles, pub 5 mins walk. Note: Although all ground floor accommodation, the cabin is accessed up a few steps. Note: Entrance is down a short lane of about 0.2 miles, which is unsuitable for low suspension vehicles. 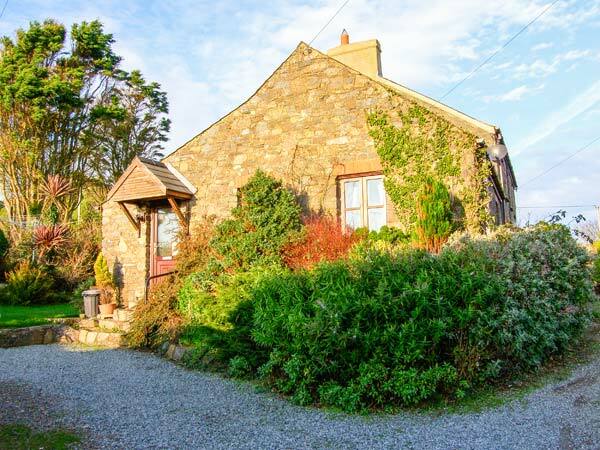 Ffynnon Tom is a lovely, semi-detached cottage in the heart of the village of Trefin, eight miles from St Davids in South Wales. 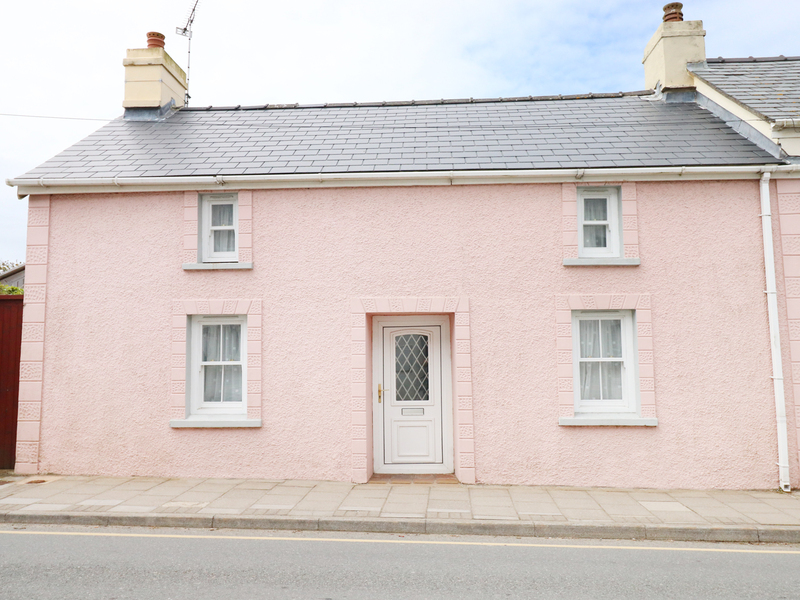 This cottage sleeps two people in one double bedroom and also has a shower room and an open plan living area with a kitchen, a dining area and a sitting area. Outside there is a patio with furniture, where you can enjoy alfresco dining in the sunshine, and off road parking for one car. In a lovely setting, with lots of walks and cycle routes to explore nearby, Ffynnon Tom provides an ideal romantic break in a lovely part of Wales. 1 Bedrooms Gas central heating. Electric oven, gas hob, microwave, fridge. Washing machine and tumble dryer in shared external utility. TV with Freeview, DVD, CD/radio, selection of books, games and DVDs. Fuel and power inc. in rent. Bed linen and towels inc. in rent, please bring own beach towels. Travel cot and highchair. Off road parking for 1 car. Front patio with furniture. Sorry, no pets and no smoking. Shop 1 mile, pub 3 mins walk. Note: Beach 5 mins walk. Note: Although all ground floor, there are 2 small steps up to the bedroom. Note: Babes-in-arms only. 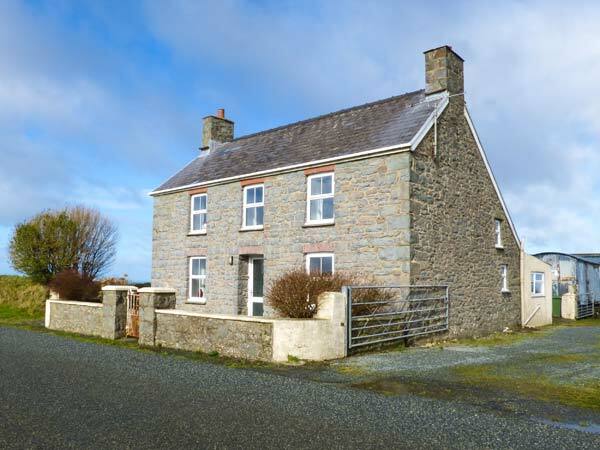 4 Bedrooms Oil central heating with woodburner. Electric oven and hob, microwave, fridge, freezer, washing machine, dishwasher, TV with Freeview, DVD, CD/radio, selection of books, games and DVDs. Fuel, power and starter pack for stove inc. in rent. Bed linen inc. in rent. Ample off road parking for cars and boats. Enclosed front courtyard. Enclosed rear patio with furniture and BBQ. Sorry, no pets and no smoking. Shop 2 miles, pub 1 mile. Note: Twin bedroom only suitable for children and has sloping ceiling. Note: Max 5 adults. Note: This is a non-working farm but there are farm buildings which are out of bounds to guests. 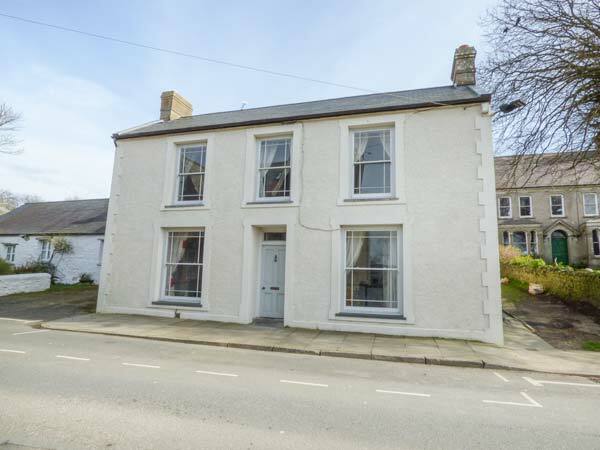 Y Bwthyn is a terraced cottage located in the centre of St Davids, the smallest city in Wales. The cottage has two twin bedrooms and one double, which with the addition of a family shower room, makes it suitable for six people. The cottage also contains a fitted kitchen with a dining area and a sitting room with a gas fire. To the outside of the cottage is off road parking for one car and an enclosed patio with garden furniture and a BBQ. Just a short drive from some of the most stunning countryside in the country, Y Bwthyn is a lovely cottage in a fabulous location.